Sometimes, the incredible landscapes seen in pictures are much closer than tourists might think. 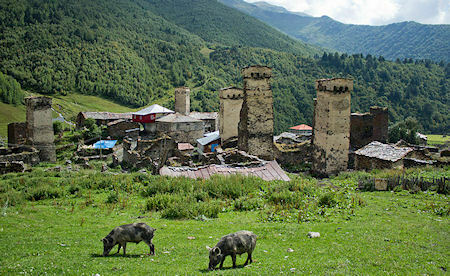 The best example of this, is Svaneti: a Georgian historical region that looks surreal. Svaneti is the highest inhabited area in Europe. Svans, (the ethnic population occupying the territory) have been living there even before the Ancient Greek times. Svans have been fierce warriors, so it's no wonder there are a series of towers in the main villages. Due to the geographical position of Svaneti, these sightseeing objectives were so well preserved, that they are still up today for curious visitors.